The Wabash Center convened a conference of scholars to foster a conversation to benefit church and academy. These scholars were theologically, technologically, theoretically, and pedagogically sophisticated about issues pertaining to current concerns regarding information technology and the teaching of theology and religion. It was determined that theological teaching requires reflection different from generalized assumptions about cybermedia, about information design, about communication, and about other dimensions of the use of technology in higher education. Engage in discussion about strategies, dangers, and advantages associated with technology in relation to theological teaching. Begin to map the terrain of the cybermedia landscape as it relates to teaching and learning in theology and religion. Discuss the role of the Wabash Center concerning cybermedia for faculty teaching theology and religion. • What strategies for teaching and learning are most appropriate for utilizing technology in teaching theology and religion? • What dangers are inherent in the use of digital technology for teaching and learning in theology and religion? • What are the advantages and disadvantages of cybermedia in relation to teaching theology and religion? • What are some of the issues raised for teachers of theology and religion by the inclusion of cybermedia in pedagogical design for courses? • What interventions are needed and would be effective? • How can the Wabash Center help institutions and faculty members address questions raised by the use of cybermedia in teaching and learning? 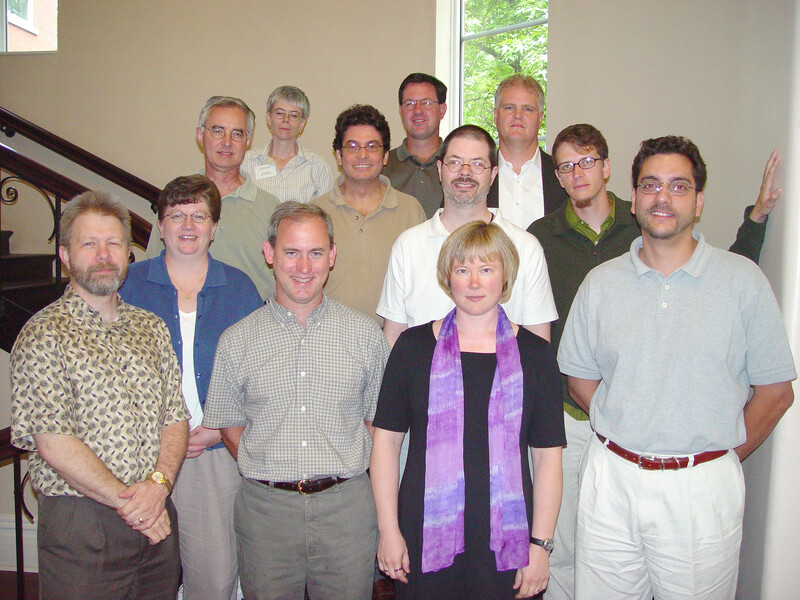 Front Row (left to right): *Paul Myhre (Wabash Center), Robert Royalty (Wabash College), Mary Hess (Luther Seminary), George Kalantzis (Garrett-Evangelical Theological Seminary). Second Row: Dianne Oliver (University of Evansville), *A.K.M. Adam (Seabury-Western Theological Seminary), Trevor Bechtel (Seabury-Western Theological Seminary). Third Row: Jim Rafferty (Minnesota Consortium of Theological Schools), Wesley Avram (Yale Divinity School), *Thomas Pearson (Wabash Center). Fourth Row: Sheila McGinn (John Carroll University), Richard Ascough (Queen’s Theological College).